33:37 You said to the one who was blessed by God, and blessed by you: "Keep your wife and reverence God," and you hid inside yourself what God wished to proclaim. You feared the people, while it was God you were supposed to fear. So when Zayd ended his relationship with his wife, We had you marry her, to establish that there is no wrongdoing for those who acknowledge marrying the wives of their adopted sons (adʿiyāihim) if their relationship is ended. God's command is always done. 12:21 And the man from Egypt who bought him* said to his wife: "Make his stay [with us] honourable; he may well be of use to us, or we may adopt him as a son (nattakhidhahu waladan). And thus We gave unto Joseph a firm place on earth; and [We did this] so that We might impart unto him some understanding of the inner meaning of happenings. * For, God always prevails in whatever be His purpose: but most people know it not. 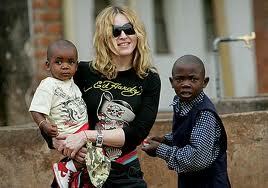 28:9 Now the wife of Pharaoh said: “A joy to the eye [could this child be] for me and thee! Slay him not: he may well be of use to us, or we may adopt him as a son (nattakhidhahu waladan)!" And they had no presentiment [of what he was to become].